Hanna was middle-class, vivacious, and distinctly Aryan, while the darker, more self-effacing Melitta came from an aristocratic Prussian family. Both were driven by deeply held convictions about honor and patriotism; but ultimately, while Hanna tried to save Hitler's life, begging him to let her fly him to safety in April 1945, Melitta covertly supported the most famous attempt to assassinate the Führer. Their interwoven lives provide vivid insight into Nazi Germany and its attitudes toward women, class, and race. 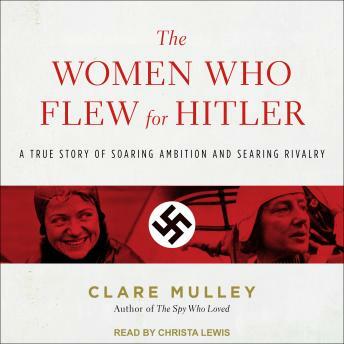 Acclaimed biographer Clare Mulley gets under the skin of these two distinctive and unconventional women, giving a full-and as yet largely unknown-account of their contrasting yet strangely parallel lives, against a changing backdrop of the 1936 Olympics, the Eastern Front, the Berlin Air Club, and Hitler's bunker.